When the idea of mixing a retriever and a poodle together first came about, the natural way to go about it was to breed a retriever to a standard poodle. These breeds are roughly the same size and structure, and resulting puppies would also be in a larger size range, anywhere from 20-29 inches in height. This type of puppy was very easy to produce through a natural breeding of two dogs. How on earth do we get smaller dogs? If you’ve ever stepped into an animal shelter before, you’ve likely encountered a variety of dogs that look like a perfect blend of a large dog breed and a much smaller one. For example, how about the dog that looks just like a Lab but in a Basset Hound body. These types of puppies are likely produced through a larger mother and a fairly determined smaller father! The smaller sizes of Doodles aren’t left up to the natural course of things. It is far too complicated and frankly, it’s not quite the natural order of things. Instead, these smaller sizes of Doodles are entirely crafted by a breeder’s intervention. Normally the Mini-Doodles, as they are called, are created via the use of a full size retriever and either a miniature or toy poodle. This is a first generation mating, and the resulting puppies are somewhere in between the retriever and poodle for size with most being about the size of a Cocker Spaniel. First generation breedings require a breeder to enlist the services of a veterinarian or veterinary reproduction specialist. This veterinarian then works in close connection with the breeder in order to do what is known as an artificial insemination or AI. This takes a lot of work on both ends! A breeder must make many visits in order to test the hormone levels of the mother. For AI to have the best chance of working, the mother must be at her most fertile level when it is actually done, and this can take days or weeks of careful testing and planning. Sometimes the AI is a little more complicated. A veterinarian may prefer to do what is known as surgical implant. This does require the female to be under general anesthesia for the procedure. A trans-cervical insemination is often preferred as it does not normally require any sedation and is less invasive. Both of these procedures are more expensive to do than the simpler and older insemination techniques. Various methods of AI have been around for a long time and are considered perfectly safe. 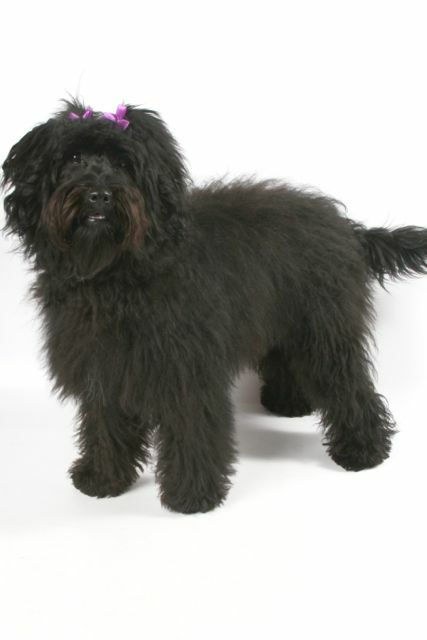 While there are many reasons why a breeder would consider it, in the case of Mini-Doodles, that’s the primary way to create them (in the first generation). 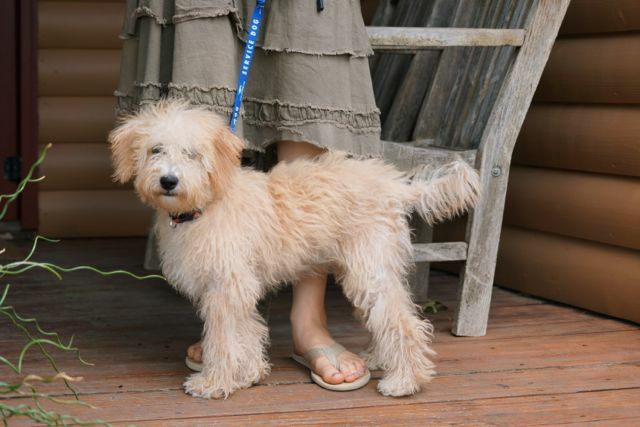 The extra measures that are required to produce Mini-Doodles are one of the primary reasons there is normally a higher associated cost for a puppy. 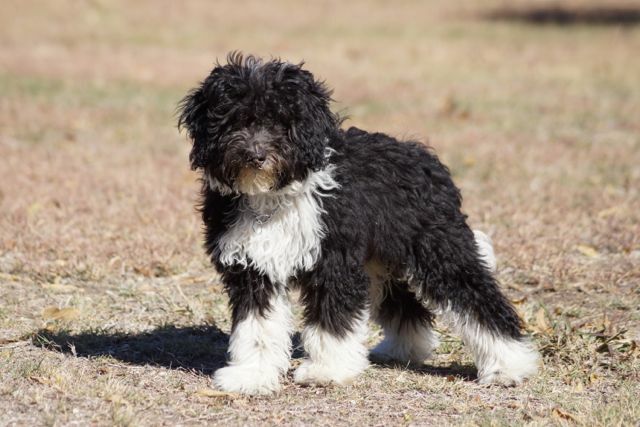 Even smaller Mini-Doodles can be created naturally in the following generation when a first generation Mini-Doodle is bred to a toy or miniature poodle to create a F1b Mini-Doodle. These Mini-Doodles are generally even smaller and can weigh anywhere from 10 to 30 pounds. These F1b Mini-Doodles will have the same characteristics as the larger F1b Doodles, just in a smaller size! Most F1b Mini-Doodles are the result of a natural mating without AI, but in some cases, breeders may opt to use AI as a technique for some litters for a variety of reasons such as to introduce different bloodlines into the pedigree line. Puppies resulting from AI or natural breeding will all be the same, so there won’t be any distinguishable differences. The main difference a puppy buyer might notice is a slight price increase for those puppies that result from an AI breeding.